Berkeley Psychic Institute (BPI) in Berkeley, California is a seminary workshop of the Church of Divine Man, which was founded in 1973 and promotes itself as a community of psychic Christians. 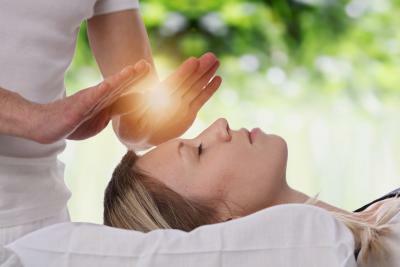 The Institute offers classes in meditation, healing, gender spirituality, nutrition and body magic, and clairvoyant training, as well as psychic and aura readings. Controversy surrounds the Institute with accusations it is a thinly cloaked cult while others defend the institute's "new age' practices and results. According to the Institute's website, "BPI is the oldest institution in the world that offers the highest quality and most thorough training in psychic development and awareness." BPI boasts having taught over 300,000 people in 40 years. The school's offerings range from receiving a reading to participating as a student. The goal of Clairvoyant Training is for students to connect with their inner selves, and it's a pre-requisite for those who wish to advance through other BPI programs. Students can attend the Intensive Clairvoyant Program (ICP) in-house or online. The course length is one to two years, depending on individual progress (the program is tailored to individual needs). Included in the coursework are classes, spiritual counseling, readings, events, and various training. After completing the Intensive Clairvoyant Training Program, students are eligible to advance into several other forms of psychic principles. For example, students can train to become church ministers through the Ministers in Training Program (MITs) or become healers through the Dendera Healing Program or Hands on Healing Program (HOH). There are a variety of other classes that are available for individuals to attend either in-person or online. Some of these include meditation, healing, kundalini, and One To One meditation. There are two applications for studying at the BPI: one-year program and a two-year program. Both require signing the Spiritual Agreement. Students must also complete an online Admittance Form for the status of an Associate Member of the Church of Divine Man while a student. The BPI holds various events, psychic fairs, and healing clinics throughout the year. Students enrolled in the one- or two-year program are required to attend and often participate in a set number of these fairs and festivals as part of their Spiritual Agreement fulfillment. A 2-Hour Aura Reading is conducted either in-person or online by trained clairvoyant students or BPI graduates. Other online readings by graduates are held weekly. There are several options when it comes to healings. These include specific ones and private sessions, such as Trance Medium Workout, Psychic Weight Loss Program, Spiritual Technology Healings, Healing Hotline, and private appointments. The Professional Readings are conducted by the BPI top staff. Each reading takes 90 minutes. Just click on the individual you wish to conduct your reading and schedule via the form online. Cost: $200 donation. One of the best ways to assess the validity of an organization or church is through reviews, discussion boards, and any legal actions taken against the group. The reviews of BPI are a mixed bag of positives and negatives. Some refer to the group as a cult while others defend it as a New Age ideology that is beneficial to those with clairvoyant and psychic abilities. The Cult Education Institute's forum features several discussions about BPI with former members describing their experiences. Most are not very kind in their assessment of life in the seminary and note how difficult it was to leave the church. Some claim mind-control tactics kept them in the church. Yet other students praise their experience at BPI and go on to become successful alternative medicine or energy workers. Is Berkeley Psychic Institute a Cult? There are many who claim Berkeley Psychic Institute (BPI) is a cult, while others praise it as a new age religion. Listverse includes BPI in its 2016 article, 10 Of California's Craziest Cults. The article states, "Former members have claimed that Bostwick (founder) stole his ideas from the Dianetics of Scientology after a falling-out with L. Ron Hubbard." The article claims that the long hours of clairvoyant training are rigorous and students must obey orders without questions. Many of the books that mention BPI are written by former students who went on to create careers in metaphysics as psychics, healers and sometimes teachers. In the book, Psychic Healing Book, co-author Amy Wallace discusses her experience studying with Lewis Bostwick (BPI founder) and how quickly she advanced in her psychic gifts. In 2011 ABC News featured BPI's Psychic Kindergarten as a "new age religious group, which bases its teachings on the Bible's New Testament…"
In the book, The Making of the New Spirituality: The Eclipse of the Western Religious Tradition, James A. Herrick discusses BPI and two other metaphysical schools. He mentions how those interested in non-traditional spirituality are drawn to the teachings of meditation, intuition and healing the schools offer. Herrick quotes Ruth Walker of The Christian Science Monitor discussing the healthcare trend of including spiritual practices. There is one complaint against Berkeley Psychic Institute listed with the Better Business Bureau for 2017 from a customer about an overcharge for a reading. Overall, Yelp reviews for BPI readings in Berkeley are unflattering with mostly one-star ratings, while the Sacramento location receives higher Yelp reviews. One BPI graduate, Dr. Louise appeared on the talk show Coast to Coast AM. Dr. Louise studied meditation, energy medicine, and clairvoyant readings while attending BPI. After leaving BPI, she attended college and earned a degree as a naturopath and aPh.D. in Natural Health Counseling. During the radio show, she discussed being a member of the BPI house healing team and some cases they investigated. HPI Supernatural Darkness Book 2 by Paul Roberts discusses a woman named Renee who had the BPI investigate her haunted home. Renee was flabbergasted by the team's quick assessment of the haunting, naming the entity causing the problems and his relationship with her brother-in-law who'd recently moved into her home. Renee was very pleased with the team and the results. In a 2014 SFGate article, journalist Matt Haber discusses an aura healing at BPI that left him in physical distress and the healer stopping mid-way, advising him to leave. Wondering what he'd experienced on his ride home via BART (Bay Area Rapid Transit) Haber says he found himself crying and felt very odd from his aura healing experience. Berkeley Psychic Institute has endured claims of being a cult and praise for being a godsend for struggling clairvoyants and psychics. With such mixed opinions about the institute, it may be best left up to the individual to assess what she or he gains from the organization.